NextNaps & Sleep Restriction: Could This Be a Happy Marriage? Do Sleep Spindles Play a Role in Insomnia? 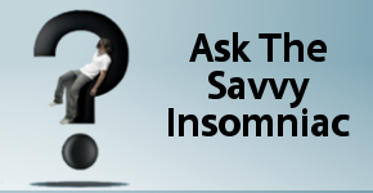 Looking for an objective test of insomnia? New research suggests there’s a relationship between insomnia and sleep spindles—sudden bursts of fast electrical activity that occur in the brain mostly during stage 2 sleep. Investigators at Concordia University in Montreal found that students with lower spindle activity reported more stress-related sleep problems than students whose spindle activity was high. Looking for an objective test of insomnia? Unfortunately, no such test exists. But scientists hunting for biomarkers of the disorder have noted subtle differences between insomniacs and normal sleepers in the electrical activity occurring in the brain at night. 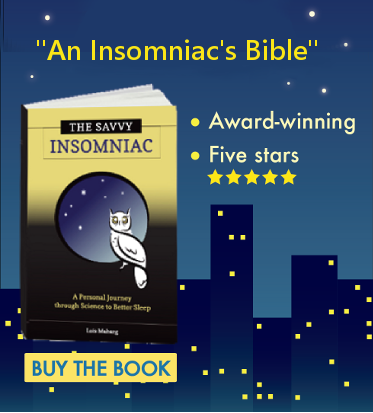 Some studies show that insomniacs spend less time in deep sleep; others show that insomniacs who awaken frequently at night get less REM sleep. Still others show that insomniacs are more prone to high-frequency brain waves during sleep. New research suggests there’s also a relationship between insomnia and sleep spindles—sudden bursts of fast electrical activity that occur in the brain mostly during stage 2 sleep. Investigators at Concordia University in Montreal found that students with lower spindle activity reported more stress-related sleep problems than students whose spindle activity was high. Here’s what sleep spindles look like. Sleep spindles occur throughout the night during periods of non-REM sleep, and more spindles occur in some people than in others. Yet in any individual, spindle density is quite stable from night to night come rain or shine. So spindle density is regarded as an individual trait. Previous research has shown that sleep spindles protect us from being awakened by noise in the environment. So these short bursts of electrical activity contribute to sleep stability. Spindles have also been found to assist in the overnight retention of memories and enhance learning. Sleep spindle density also correlates with higher scores on tests of intelligence. In short, sleep spindles are highly beneficial. Thien Thanh Dang-Vu and colleagues enrolled 12 healthy, normal-sleeping Concordia University students to test their hypothesis that students with fewer spindles would have more trouble sleeping during periods of academic stress. They gathered baseline data from each student at the beginning of a winter semester, when stress levels were low. Students underwent polysomnography (an overnight sleep study) and a battery of pencil-and-paper tests assessing their sleep, stress levels, and mood. Then, during a high-stress period—the week prior to final exams—the students underwent a second round of testing to find out how the stress of exam week was affecting their sleep. As expected, the lower the sleep spindle activity, the more likely a student was to report sleep problems. In particular, lower spindle density at the beginning of the night—as students were falling asleep—correlated with more sleep complaints in response to academic stress. What this implies, the researchers say, is that alongside other factors that predispose us to insomnia—a family history of insomnia, depression or anxiety, hyperarousal, poor health, and pain—people whose brains generate fewer sleep spindles at night are more prone to develop insomnia than those whose spindling activity is high. Why some people are champion spindlers and others are not is a question that still needs sorting out. But insomnia treatments that promote sleep spindles could only be a good thing. Whether in the form of medication or herbs or pre-sleep activities, I say, bring ’em on!